The European Parliament’s committee of foreign affairs endorsed a report on counteraction to propaganda on Oct. 10. Photo: A general view for the plenary session at the European Parliament in Brussels, Belgium. 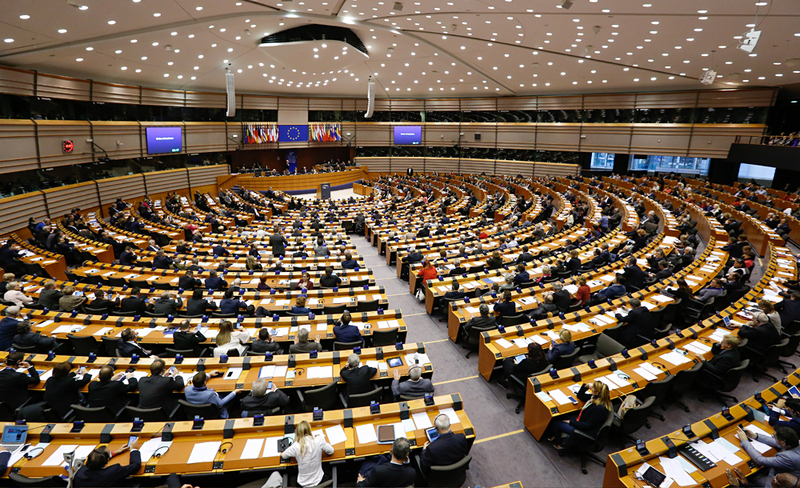 European Parliament crosses the red line as it discusses a draft resolution on counteraction to third parties’ propaganda, Latvian member of the European Parliament (MEP) Tatjana Zdanoka said on Nov. 22 as she took the floor at the parliament’s plenary session in Strasbourg. Zdanoka said the text of the draft resolution was unusually abusive in terms of form and contents for the European Parliament. The resolution ran counter to the principle of freedom of the mass media, Zdanoka said, adding that while the European Parliament claimed Russia was utilizing a range of instruments like multi-language channels, other countries resorted to similar methods as well. "It’s impossible to understand what happens if you watch only channels like CNN, BBC, Euronews," Zdanoka said. During the debates on the draft resolution the EU’s High Representative for Foreign and Security Policy Federica Mogherini said the EU counter-propaganda policy aimed to improve the situation with plurality in the media in the East and South and to promulgate the necessary networks, which would help journalists do their job. The European Parliament’s committee of foreign affairs endorsed a report on counteraction to propaganda on Oct. 10. Polish MEP Anna Fotyga, the author of the document titled "EU Strategic Communication to Counteract Propaganda Against It by Third Parties," accused Russia of a long range of alleged follies and transgressions like the spreading of "disinformation and propaganda seeking to maintain or increase Russia’s influence to weaken and split the EU". Specifically, the report alleges that "(…) a large part of the Kremlin’s hostile propaganda is aimed at describing some European countries as belonging to ‘Russia’s traditional sphere of influence’, thereby undermining their sovereignty and deeply rooted European identity, which in the past has been undermined by communist regimes." It also speaks of "Russian backing of anti-EU forces in the EU with regard, in particular, to extreme-right parties, populist forces and movements that deny the basic values of liberal democracies."